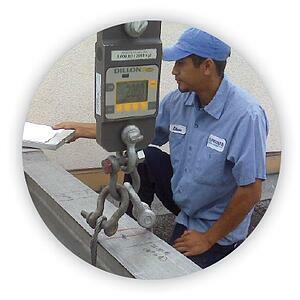 If you have permanently installed exterior building maintenance (EBM) equipment at your building, you have the obligation to inspect, maintain and certify the equipment before allowing maintenance contractor vendors to use the equipment. This is true for all jurisdictions (see links below). We provide scaffold inspection and testing (SIT) services under our SIT Agency status, authorized by the California Department of Industrial Relations (DIR) Division of Occupational Safety and Health (DOSH). We maintain Cal OSHA SIT License No. 36. These credentials also allow use to meet the Qualified Inspector requirements of Federal OSHA and all other known regulatory authorities having jurisdiction. This expertise, experience and certification allows us to also inspect and certify the EBM equipment in any jurisdiction. So if you are in the Federal OSHA jurisdiction, please give us a call as we can come to you and meet the requirements of Federal OSHA CFR 29 1910.66(c)(2). Let us help you by allowing us to provide the inspection, testing and certification that will enable you to provide your vendors and employees with the written assurance required by these orders. We provide any load testing services that will allow you to meet ANSI 10-Year Load Test requirements and the new Fed OSHA Walking and Working Surfaces Ruling requirements. Contact Us Now to find out more.